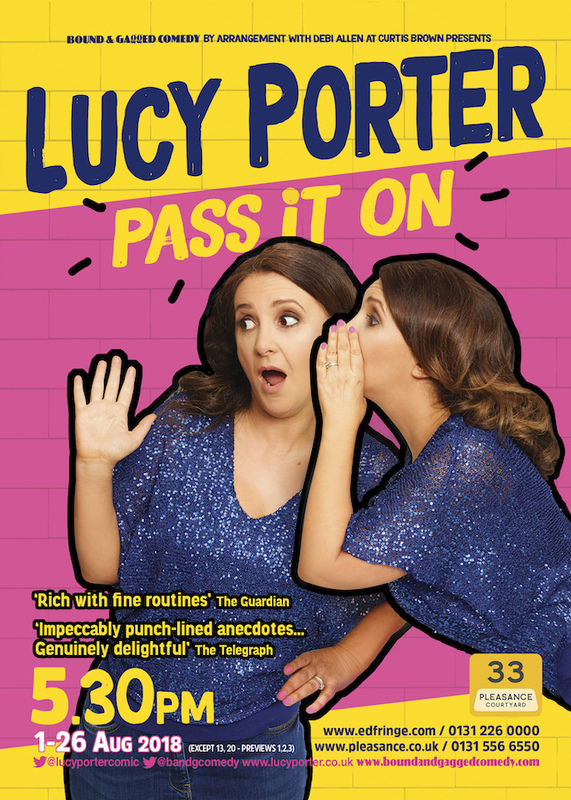 Lucy’s new show, “PASS IT ON” debuts at the Edinburgh Fringe on the 1st August, where it’ll play throughout August. If you’re not in Edinburgh this year, don’t worry, the show will tour from February 2019. A full list of current dates is now up on the gigs page, take a look.